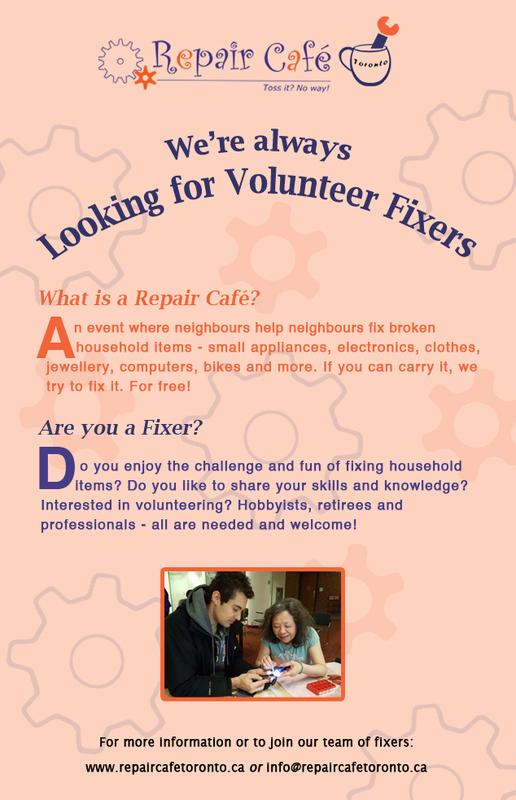 Our next Repair Café will be on Saturday, April 27 from 11:00 a.m. to 3:00 p.m. (Registration closes at 2:00 p.m.). 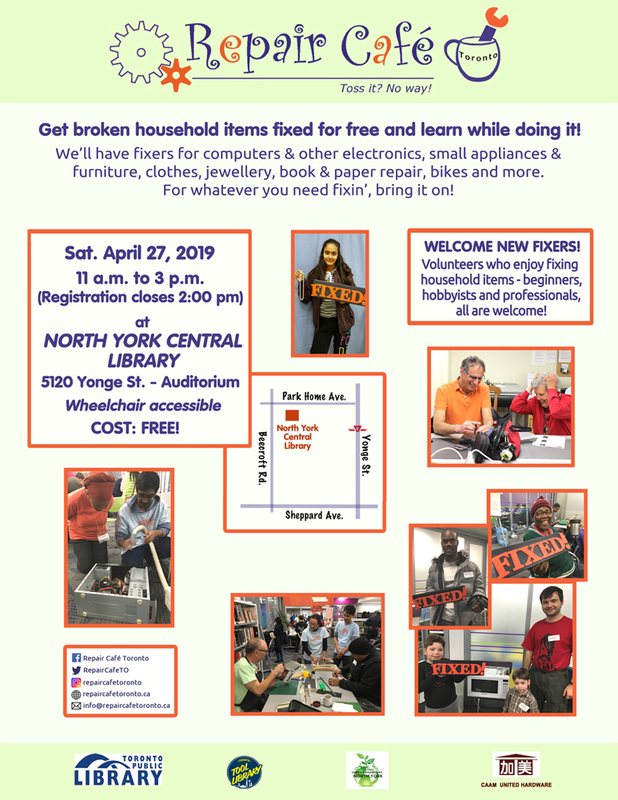 Join us with your broken household item. Whatever you can carry, we will try to fix it!